The Park has a heated toilet and shower block with hairdryers and a launderette complete with iron and iron board. 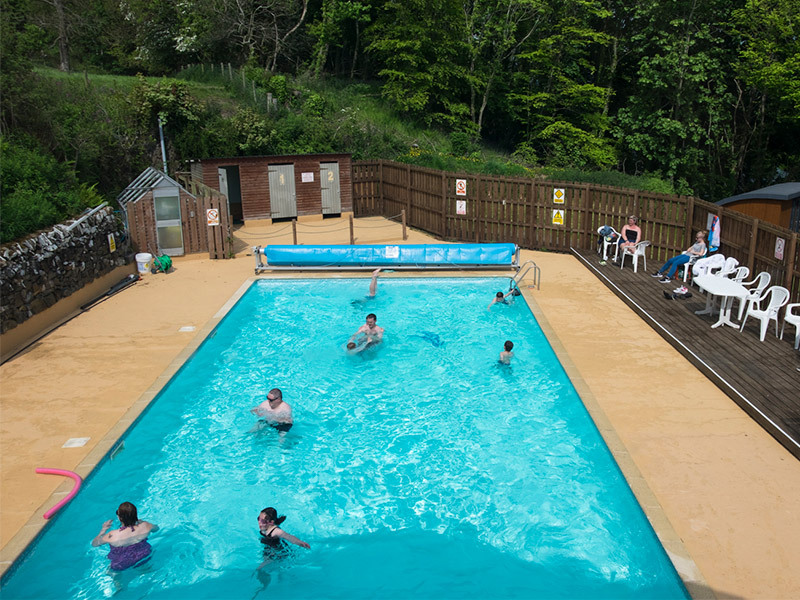 Customers on the Park can swim in our seasonal heated outdoor pool or relax at the poolside with a cool soft drink or ice-cream from our small shop. There is an outdoor play area with a tree house for the children to roam and enjoy or a game of football on the grass. 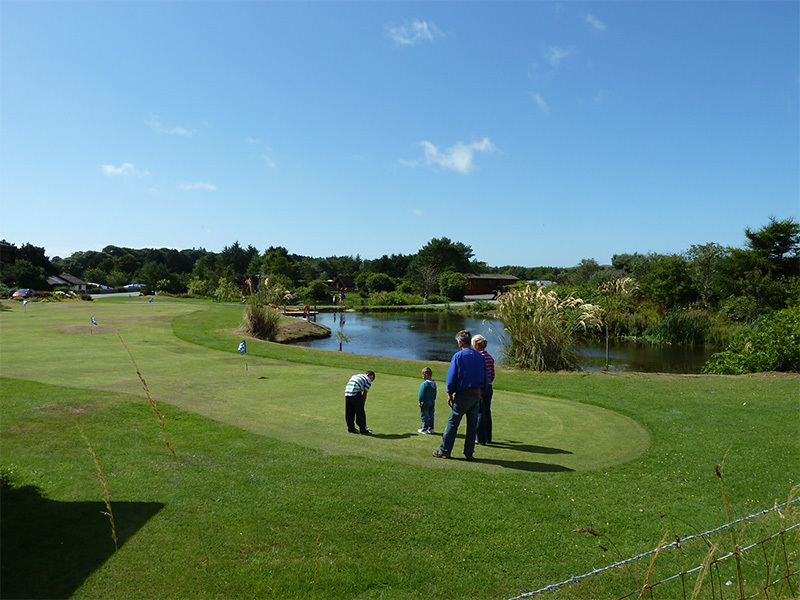 On wet days there is the TV and games room to keep the kids occupied or just keep in touch by using the park’s Wi-Fi. For our dog lovers, we have a fenced area for your pets to exercise. Mountain bike enthusiasts can store their bikes in a locked area. Customers who want to enjoy the surrounding environment they can ramble along the coast line or scramble over the rocks. 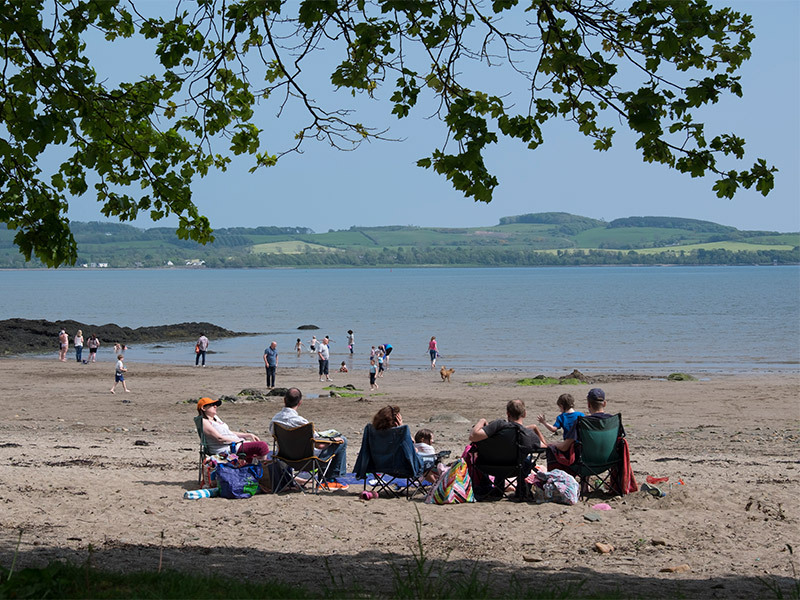 There is a nearby sandy beach at Dhoon Bay to feel the sand between your toes or brave the cold water for a refreshing swim. 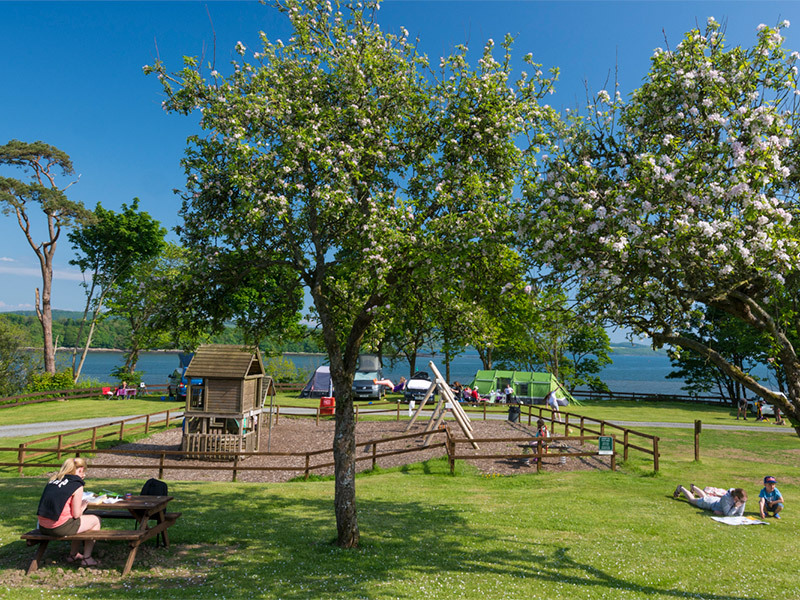 Our head office at Brighouse Bay Holiday Park is only 3 miles away where you have a selection of activities to enjoy; indoor swimming pool and toddlers pool, pump track and bike trails, pony trekking (seasonal), pitch and putt, mini ten pin bowling, steam room, fitness room, amusement room, outdoor bowls, 18 hole golf course and driving range.